Check your email for the export or click View today’s export. Keep refreshing page until it appears. 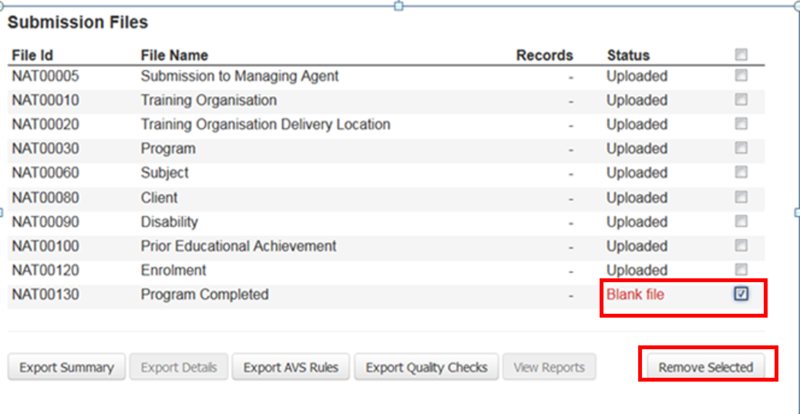 Once you have your export of NAT files from Wisenet you will need to validate these through AVS. If you have not submitted through AVS previously you will need to Register or Login to your account. If you have Blank NAT files they are indicated. If you receive a file upload error for NAT30 and NAT30A files then ensure you remove all files and re-upload. 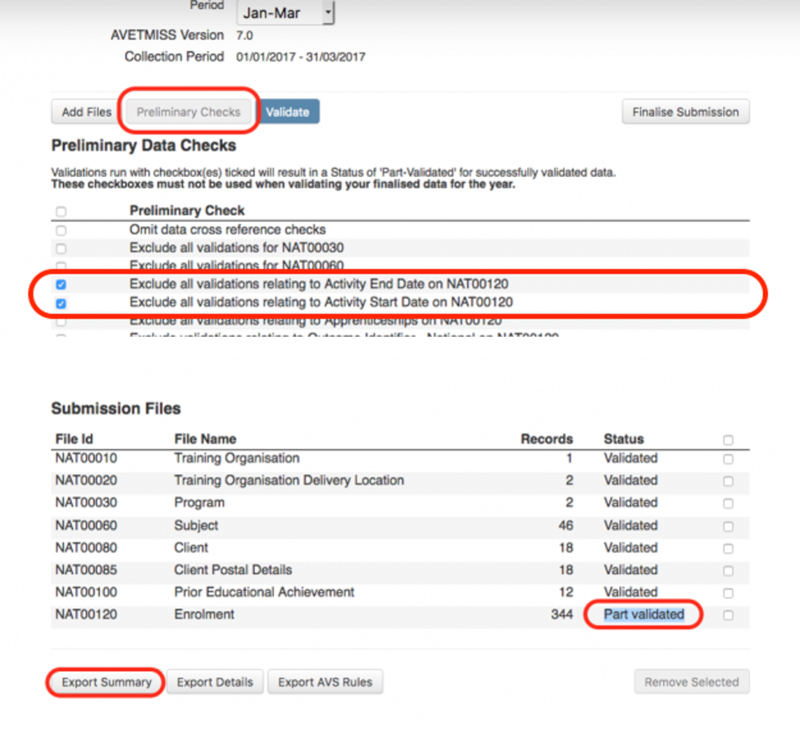 The AVS validation process can only have one version of the NAT30 file at a time. After your AVS validation there may still be errors. These will need to be fixed. See the NCVER Validation Error Codes. Use the search function to find your error code. Error: Initial validation has identified file format issues. Please check the errors below and correct them in your source data. Then add your files again and validate.